This Exquisite and Meticulously maintained Lakefront home is situated on the 7th Fairway of the Jack Nicklaus designed golf course in the gated and sought after community of Grand Haven. Featuring a mixture of Gorgeous Lake and Golf Course views from almost every room! This amazing home offers 5 Bedrooms - four bedrooms are on the main floor; 5 full bathrooms; PLUS a bonus room (possible 6th bedroom) that leads out to your private balcony, this bonus room also features a full mini kitchenette/wet bar along with a private bathroom. The Fine Craftsmanship and High End Upgrades that encompass this home are nothing short of spectacular, featuring: a BRAND NEW KITCHEN with NEW LG appliances, Immaculate NEW Quartz Counter-Tops, and a NEW Tile Backsplash. 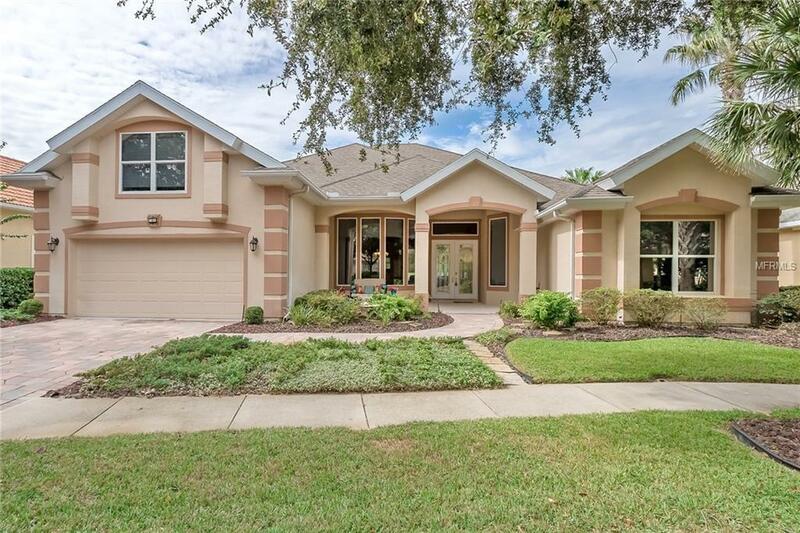 Picture perfect windows, galore for stunning natural light and unobstructed Lake and Golf Course views; Bamboo and Tile Floors in the main living areas; Ceiling Heights of 12-14 Ft.; 8 Ft. Doorways; a BRAND NEW A/C Unit; with Paver Driveway. Additional Lease Restrictions Please Consult Local Ordinances For Rental Restrictions And Hoa.